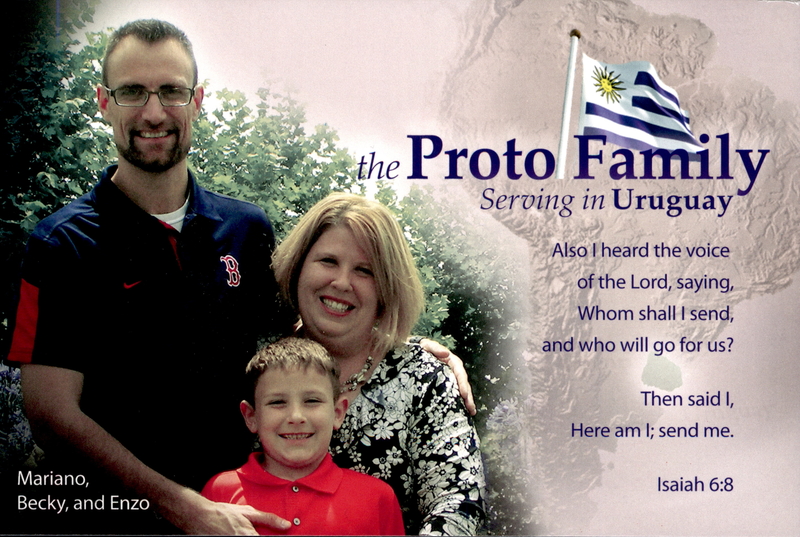 God has burdened our hearts to reach lost souls for Christ in the land of Uruguay. 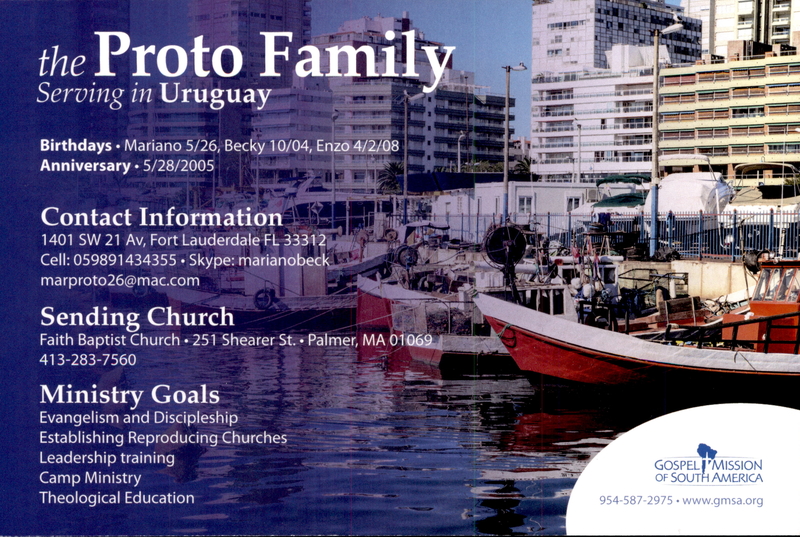 Starting in December 2015 when we return for our second term of service, we plan to begin to establish a new church in the city of Carmelo. We have a desire to bring the Gospel to those that have never heard it before and to those who believe there is no God. If you have any questions, please feel free to contact us using the link at the right. Thank you for taking the time to read this, and please pray for us! Becky’s Testimony: I had the privilege of being brought up in a Christian family. I heard the Word of God at home, at church, and later at the Christian school that I attended. It was at the age of 8 that I finally realized that even though my entire family was saved, I attended church regularly, and I tried my best to be “good” that none of these things would get me to Heaven. At age 8 I asked Jesus to forgive me my sins, and I accepted Him as my Savior.